The design roots of Orangeries trace their beginnings to European aristocrats from the 15th Century, who enjoyed collection of citrus fruit plants. 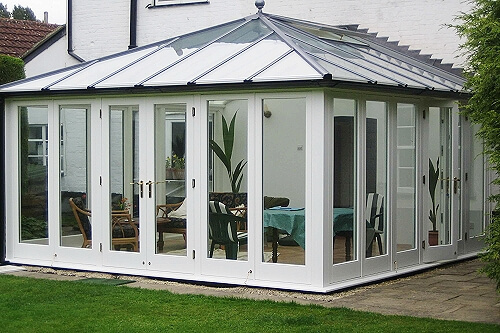 Easily recognisable by the “domed” central glazed roof section, Orangeries are usually more substantial rooms with wide use of pillars and solid wall sections mixed with glazed panels. Even though they do maintain the ability to be well lit & spacious. The orangery is an excellent alternative to building a typical house extension and each one is built to the needs of the client making it truly individual in its appearance. As a more of an extension type building it means that there is going to be more work involved than with the standard conservatory made from UPVC or Timber, and that could lead to you requiring planning permission in order to construct it – check with you local authority before commencing work. 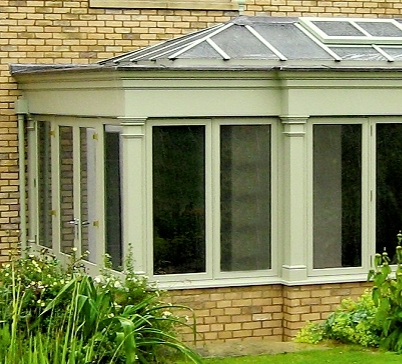 If you choose a good design and have it built well, a new Orangery has been known to add up to 10% to the value of a property – which can also be useful as a price guide to know if you are going to get value for money. You can find out more on planning permissions here. In describing the design features of a classic orangery, experts will often refer to the relationship between the proportions of each feature – height & width of columns, glazing (fenestration) and entablature. For those unfamiliar with the word, entablature it is the horizontal section that “sits” at the top of a column or pillar. The word itself comes from a Latin reference to a table top – which sits upon legs (columns). To simplify even further, the entablature would just be the super fancy version of a fascia board. This fascia will surround the roof section and behind it would sit the hidden gutters – another classic orangery design feature. Staying with classic features, orangeries also make extensive use of Pilasters. Very often seen on the corners of the room or flanking a door or window frame. It is like a square pillar, with a cap at the top and a plinth at the bottom, but pilasters are only for show, they are not structural. So, with just these two design elements you can begin to see that proportion, is very important when it comes to orangery design, you don’t want a room that looks unbalanced or “out of sync” with your home. Although, once again, a classic design feature is the use of a central glazed lantern section in the roof, you can go in a different direction by using tiles or slate to create solid roof, with some examples even featuring lead roofing. Picking a door design that complements the overall appearance is common sense, but you should not sacrifice too much “function for form”. In other words, the doors should definitely look good, but they should also easy to use on a day to day basis. French doors are a favourite for any type of “period-style” orangery. If you have a wide building, then you can just double-up and fit 2 sets. Bifold doors are very suited to orangeries, with the full width clear opening that bifold doors offer, you will be able to totally open up your orangery to the garden area. Doors & Window sections should be fitted with multi-pint locks and, with such a large amount of glass, double glazed units should be fitted as a minimum standard. Glazing thermal efficiency can be improved by the use of gas filled sealed units, triple glazing & low-e glass. If you are fitting sliding doors, then they should be fitted with Anti-lift tracks. Locks should be high quality, drill, snap & bumping resistant. 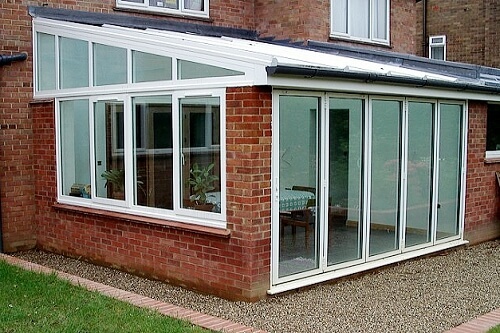 Gas filled double glazed units – Up to 24 mm gap (total 28 mm width). Mullions, Georgian bars or inserts. 150 + RAL Powder Coat Aluminium colours. Multi-point locks for windows & doors. Low level or rebated thresholds for patio doors. There is going to be a lot of variation from project to project, simply because orangeries are built to order bespoke rooms. Their individuality in design is reflected in their individual pricing. Some specialist installers can create the most wonderful rooms. 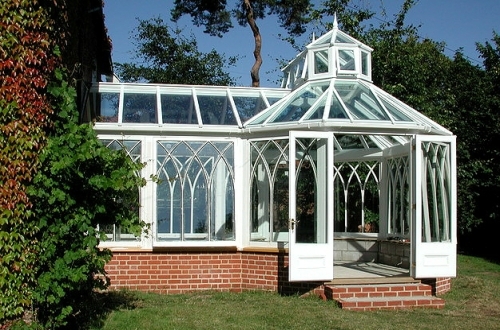 Some of the designs by Hampton Conservatories, Auburn Hill or David Salisbury are amazing – but don’t expect these bespoke orangeries to be cheap! 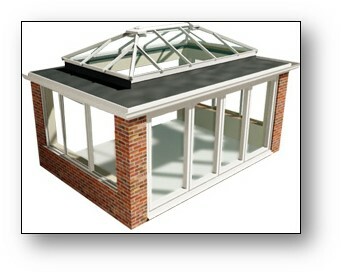 In order to be able to provide some sort of orangery price guide, we have broadly used the size to give a price bracket. 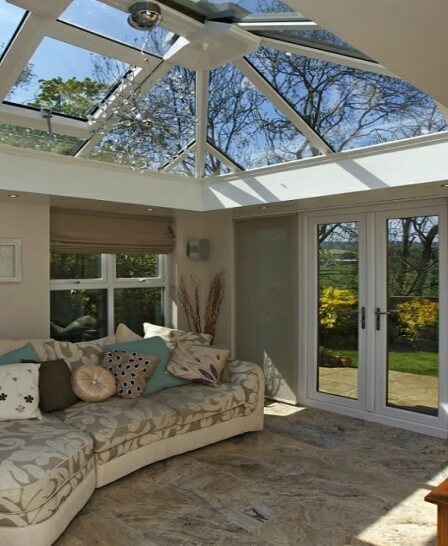 You should also bear in mind that building an orangery is nothing like “throwing up a little lean-to for the kids”, they are substantial home extensions that add real appeal and financial value to your home. 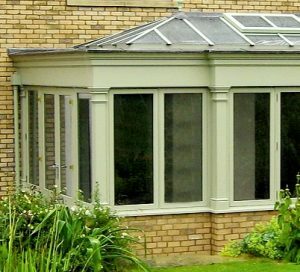 Since 2008, an orangery can be considered a “permitted development” and would not require planning permission – do not start work without checking with your local planning dept first. I live on a corner plot, will I need to have planning permission for my Orangery? This may be a case where you may need planning permission if the orangery can be viewed from the road. Your installer should be able to advise you, but you can check the planning portal for a quick guide. 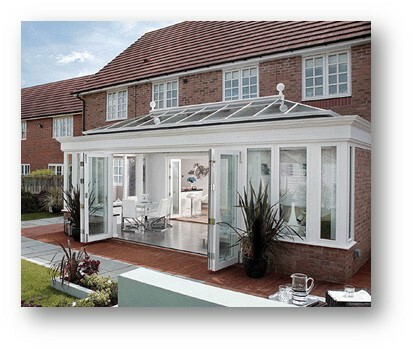 Can you have a full glass orangery?